The following is a guest post from Stephanie Bond, the best-selling author who will give you some insights on how to launch and book a successful blog tour for marketing your book. Back when my first novel was published in 1997, authors went on book tours, scheduling talks and signings at bookstores, groceries, and even stopping at drugstores and big-box retail stores to sign books on the shelves. Book tours were time-consuming and exhausting. Every author—me included—has more than one horror story about arriving for a book signing only to find 1) no books 2) the wrong books 3) the store had closed or was under new management and the employees had never heard of you. But these days, you can plan a blog tour to publicize your book release and never leave the comfort of your office chair. How? Read on. First, determine your goal. Is it to get buzz going for the book before it’s released? Give away review copies as prizes? Drive readers to pre-order links? If so, you’ll need to launch your blog tour two weeks before the release date. If, however, you want to wait until the book is released so readers can buy it immediately, then launch your blog tour the day your book is released. Determine your stamina. Blog tours can last for any length of time, but typically have a life of 1-6 weeks. If this is your first blog tour, I suggest you start on the short end until you get your hands around the time commitment required. Make a list of book/reader blogs. Google or Bing away. 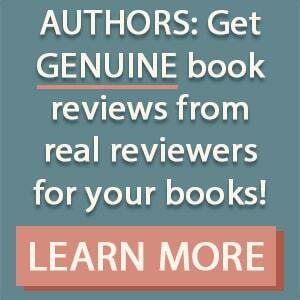 Search for blogs that feature readers of your genre or have featured books similar to yours. And when you find blogs that seem appropriate, read a few entries (including the comments) to make sure the atmosphere fits your type of book and your personality. (Ditto for any advertisements the blog might feature.) Note how many comments entries seem to garner to gauge the amount of traffic your blog entry might receive. Also note what other bloggers on the site are doing, such as offering free giveaways, directing readers to a contest, etc. so you can get some good ideas. Cast a wide net. You’ll want to target reader blogs, of course, but consider blogs that deal with specific aspects of your book. For example, if you set your book in Atlanta, local general interest blogs might feature your book. Or if your book is about cooking, racing, or poker, each of those hobbies have a plethora of blogs for followers where you can find potential readers. Note the requirements of contributors. If the blog is a good fit for you and your book, note the requirements of the blog for contributors or write to the owner of the blog and ask for requirements, including wordcount, possible topics, the use of images, giveaways, and how far in advance you will have to schedule and submit your entry. Schedule your blog tour. 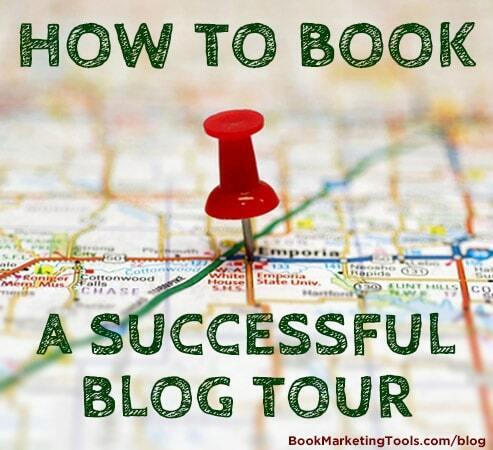 Schedule the stops on your blog tour, building in down-time for yourself in between. When your blog entry is posted, you’ll be expected to visit the blog periodically throughout the day to respond to comments, which can be taxing considering all the time zones. Publicize your blog tour. Make a big honking deal out of it. Name it. Post details on your website and social media sites like a rock star launching a musical tour. Write your blog entries. Of course you’ll be talking about your book and maybe your writing career in general, but be sure to make each entry unique. Try to slant your piece toward each blog’s area of interest. So yes, include an image of your book cover, but look for other images that pertain to research or something readers of the blog will be interested in. If the blog is slanted toward writers, for example, you might include a photo of your work area. If the blog is about the locale in which you set your book, include details about points of interest and how you incorporated them into your story. To generate comments, it’s always nice to end your entry with a question for readers that will generate discussion. Stay on-topic. Unless you’re building a platform on controversy, this isn’t the time to post inflammatory information that’s politically charged. Being provocative might fuel lots of comments, but you’re not likely to ingratiate yourself to visitors or to the blog manager. Translation: You won’t sell many books. Or be asked back. Don’t skip the followup. The day your entry is posted, be sure to respond to every comment, even if only to thank the commenter. And if you’re offering a giveaway, keep a log of each blog site, the winner’s name and contact info, and the prize. At the end of the day, post a final comment to thank the blog owner and all the commenters for their time and input. Scheduling a blog tour is all about research, planning, and follow-through. Hmmm– not unlike writing a book! Take the time to set it up, and spend the time and effort to do the blog tour, and you will see solid results from the blog tour! Good luck. Stephanie Bond is the best-selling author of over 70 mystery and romance novels, including TWO GUYS DETECTIVE AGENCY, a humorous mystery available exclusively through Amazon. 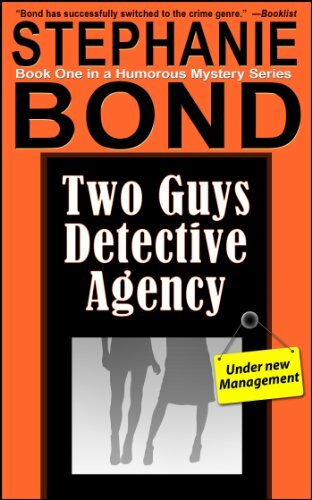 Click here to buy a copy of Two Guys Detective Agency.